Workflow Software | Accounts Payable + Human Resources - AMI Imaging Systems, Inc.
Workflow software extends the capabilities of Enterprise Content Management Solutions. The use of automated workflows that seamlessly work with your current systems allows you to see immediate improvements in your business processes. 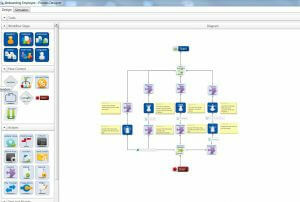 The hallmark of any workflow software product is its use of a graphical, drag and drop configurability. 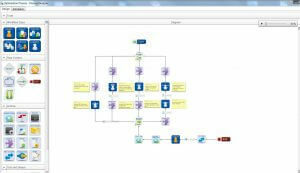 This provides users a method to automate even the most complex processes. This ability to develop new business processes or enhance current processes will drive greater productivity and profits. 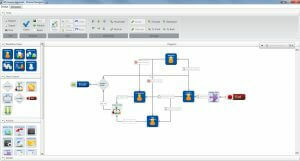 Quickly build solutions, eliminating the need for time consuming and costly custom programming. The intuitive interface makes changes on the fly easy so updates will take effect immediately. 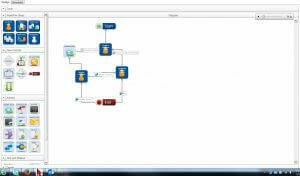 With point and click configurability for rules and actions you can rapidly deploy new processes and refine existing processes as needs change. Workflow software automation can positively impact the overall process from receipt of vendor invoices, whether electronic, email, fax, or paper. Capturing information and processing it efficiently is critical to an AP department running at peak performance. Studies have shown the cost to process and invoice can be from $5.00 to $25.00 depending upon the metrics used. Managing the hiring process in any organization is a complex process. Recruiting the best talent through a smooth self-service application process, gathering all new hire documents and manage internal tasks for onboarding, distribute and manage companywide notifications and policies, manage the off boarding process and stay compliant meeting regulatory requirements. Applicants may apply using our self-service application process or a resume either paper of email. Routing the applicant’s information to departments for approval and auto generating letters to applicants is easily managed through workflow. OnBoarding and introducing a new employee should be a positive first impression. 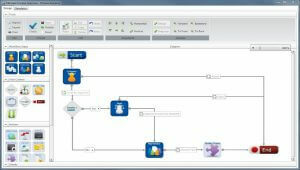 Using workflow you can collect and route necessary documents to the new employee. Creating onboarding checklists for IT, payroll, facilities management, and managers and ensue all tasks are completed on time. Making the new employee onboarding a positive experience. 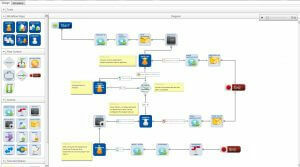 Workflow manages the complete employee record. The system notifies employees and staff when it is time for a performance review as well as manages PTO approval. Revising, distributing, and storing changes in company policy using workflow gives you the visibility to see who has opened, read, and agreed to your latest policy update. Managing the employee’s expectations and company policies and procedures. Workflow manages the off-boarding process ensuring the separated employees no longer can access your company’s sensitive information, applications, and all company property has been returned. Making sure the off-boarding process is smooth, transparent and compliant.